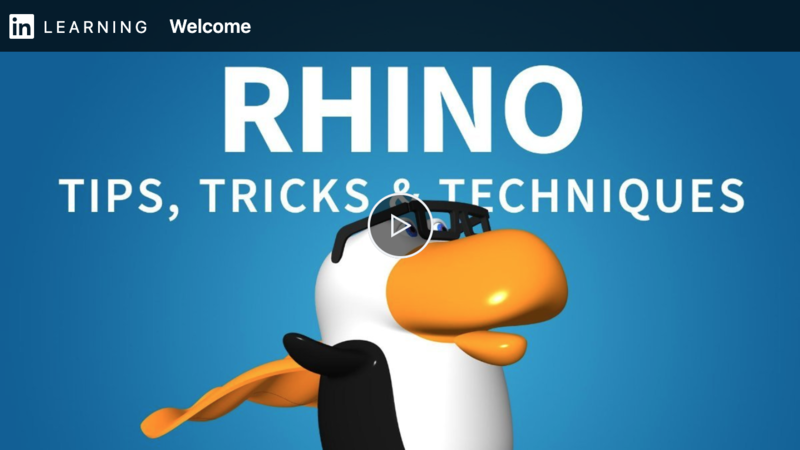 Dave ‘Professor3D’ Schultze is proud to announce the release of his 12th course for Lynda.com / LinkedIn Learning Rhino: Tips, Tricks, and Techniques. The serialized course structure is all new. A new FREE video is released each week on Tuesday and focuses on a single 3D modelling topic. Tune in as Dave dives into a variety of topics, including how to use his own patented intersection technique to quickly create complex shapes. Dave helps you sharpen your 3D modeling skills by showing how to work with different kinds of objects in Rhino—from space helmets to mittens.